17 available 17 items in stock. For the first time in a long while, we are happy to bring you a SparkFun limited-edition shirt! 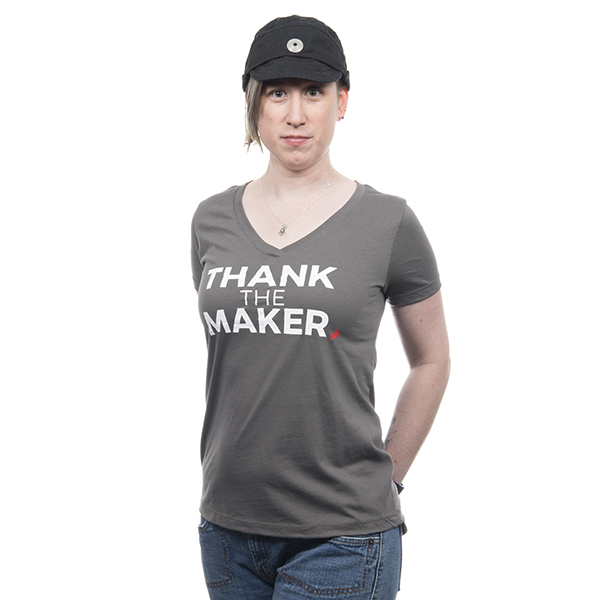 This size medium, lightweight, gray V-neck shirt has been emblazoned with the immortal words of our favorite golden robot, thanking each of you makers out there. The back of this fitted women's cut tee features our SparkFun emblem and our slogan: "Start Something." These shirts do run small, so you may need to purchase a size larger to fit. Note: This shirt is available for a limited time only. 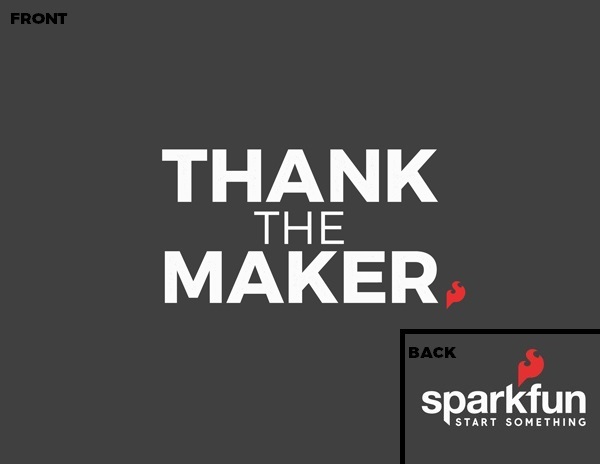 When that time is up, the "Thank the Maker" shirt will be replaced with the next design and gone forever. Get it while you can!